Living… in a small village in Japan with her mother, father, and beloved older sister, Satsu. Unfortunately, Chiyo and her family live in extreme poverty. Her situation worsens when her parents decide to sell their daughters into slavery, shipping Chiyo and Satsu into the Hanamachi, a courtesan and geisha district. Visiting… a geisha house. Upon arriving in the Hanamachi, Satsu is rejected by the proprietress and sold off elsewhere. Chiyo, however, is accepted as part of the okiya. She meets her fellow trainee, Pumpkin, and Hatsumomo, the arrogant and cruel senior geisha of the house. Chiyo’s new guardian is Mother, who controls the women of the household with an iron-grip. Profession… geisha-in-training and slave. When Chiyo tries to escape the okiya, Mother demotes her to a servant. She stops paying for geisha classes and forces her to work off her debt. Chiyo’s future seems bleak until she meets Mameha, one of Kyoto’s most elegant and successful geisha. Mameha sees potential in the young girl and offers to pay for and train Chiyo herself. Thus, Chiyo resumes her geisha training. Interests… her geisha training. Chiyo is firm on becoming a well-known geisha in order to get closer to the Chairman. But it’s no easy task: “Geisha is an artist of the floating world. She dances, she sings. She entertains you, whatever you want.” Chiyo must master many skills before she can call herself a proper artisan. Relationship Status… single, but she dreams about the Chairman every single day. Chiyo met him and his geisha companions when she was still Mother’s slave. He was the only person to show her any kindness in her life and Chiyo has never forgotten. 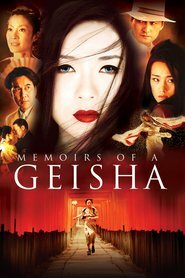 That was when she vowed to become a famous geisha who could one day stand by his side. Personality… sweet, graceful, and determined. Chiyo is growing into an elegant and enchanting young woman. She has withstood years of pain and fatigue in order to become a fully-fledged geisha who could attract the attention of the Chairman. Chiyo Sakamoto's popularity ranking on CharacTour is #3764 out of 5,000+ characters. See our top-ranked characters and read their profiles.